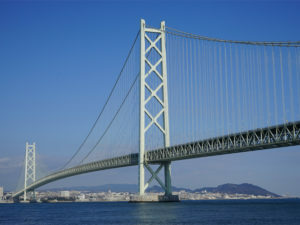 The Akashi Kaikyo Bridge linking Kobe with Awaji Island is both the longest and highest suspension bridge in the world. 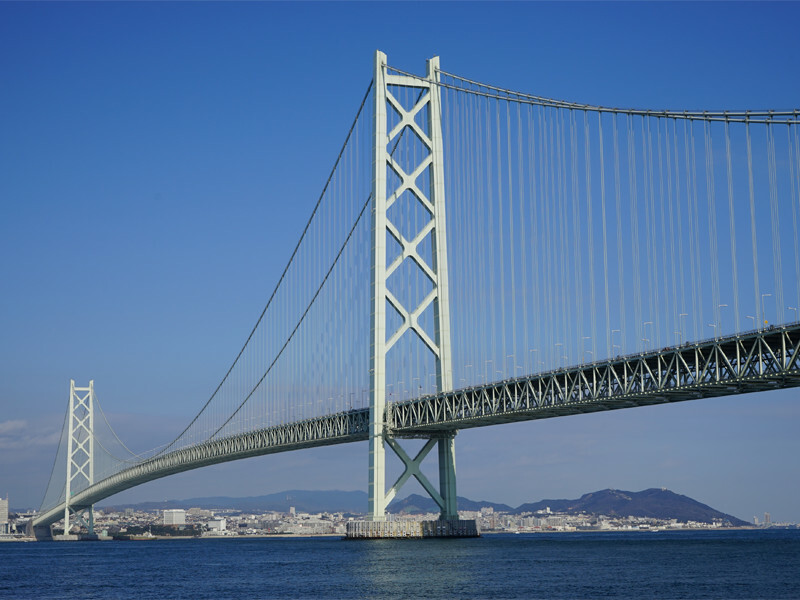 The bridge has a central span of 1,191 metres and its central tower rises 297 metres into the sky to give panoramic views of the Kobe coast line, Awaji Island and the azure blues of the Seto Inland Sea. 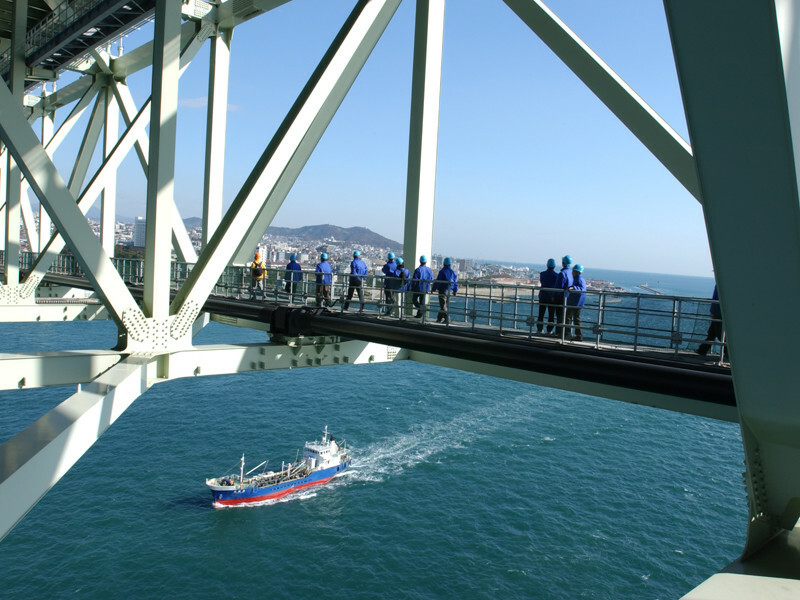 Half day tours of the bridge can be reserved and customized for MICE groups. The tour is both technical, entertaining an often hilarious as the tour guides who worked on the bridges construction will not only go through the ins and outs of its construction and the cutting edge technology employed to build it, but will do so while sharing anecdotes from the days of the bridges construction. Above all, their love and passion for the bridge shines through and draws the listener in throughout the duration of the tour. 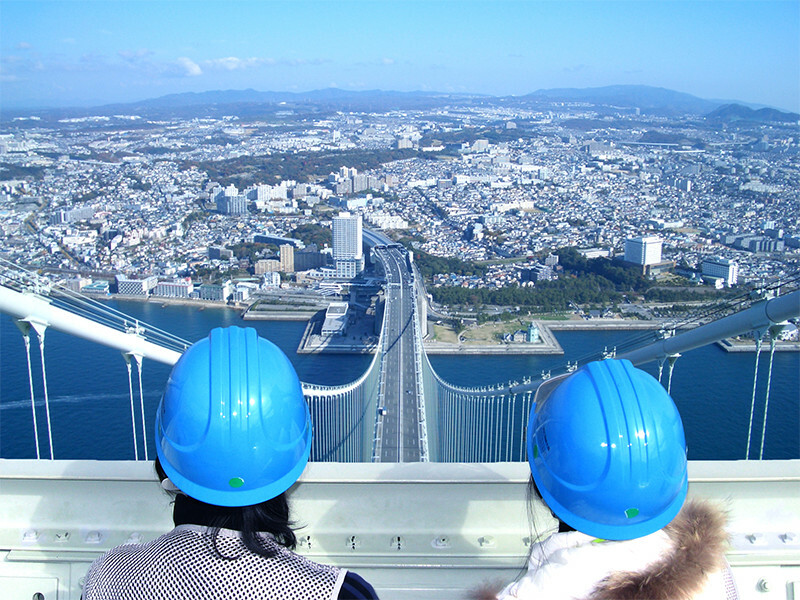 After learning about the bridges construction in the interactive museum, you are taken out to the bridge where you will walk under 10 lanes of traffic out to the central towers all while the guides explaining the ins and outs of the bridge and pointing out local sights that can be seen from the bridge. Taking in the stunning views both around and under your feet (gulp), you will reach the central towers and take the elevator up to the 98th floor, 297 metres above sea level for uninterrupted breathtaking views of the surrounding area. The tour is both fascinating, educational and thrilling. It is suitable and safe for all ages and perhaps most importantly, is led by authentic local characters who are passionate about and have a deep connection to the bridge.